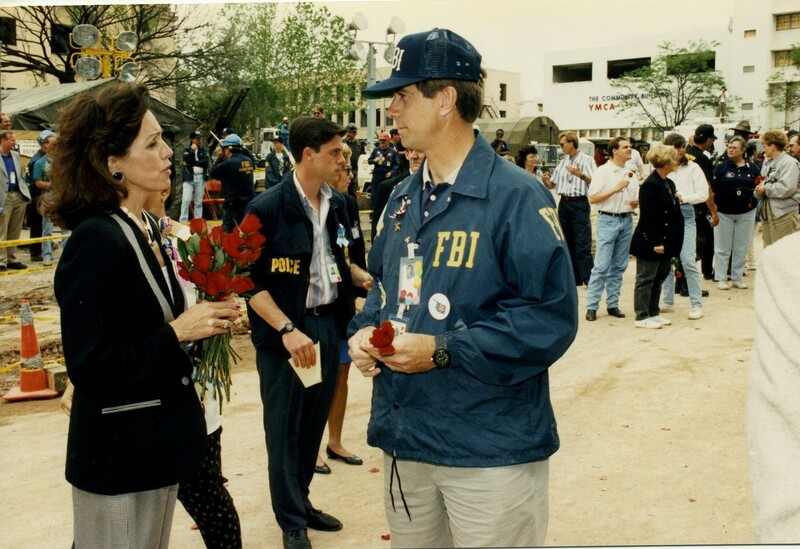 As Oklahoma City and the country prepare to mark the 20th anniversary of the Alfred P. Murrah Federal Building bombing on April 19, 1995, FBI.gov looks back at the deadliest act of homegrown terrorism in the nation’s history through the eyes of special agents who were there and a survivor who continues to honor the victims by sharing her remarkable story. The bombing of the Alfred P. Murrah Federal Building in Oklahoma City on April 19, 1995 was the deadliest act of homegrown terrorism in U.S. history, resulting in the deaths of 168 people. In a matter of seconds, the blast destroyed most of the nine-story building, incinerated nearby vehicles, and damaged or destroyed more than 300 other buildings. The Ryder truck packed with nearly 5,000 pounds of explosives that Timothy McVeigh parked in front of the Murrah building that Wednesday morning killed 168 people, among them 19 children—most of whom were in the building’s daycare center. The youngest victim was 4 months old. Hundreds of all ages were injured. In a matter of seconds, the blast destroyed most of the nine-story concrete and granite building, and the surrounding area looked like a war zone. Dozens of cars were incinerated, and more than 300 nearby buildings were damaged or destroyed. Immediately, the FBI turned its full attention to Oklahoma City. 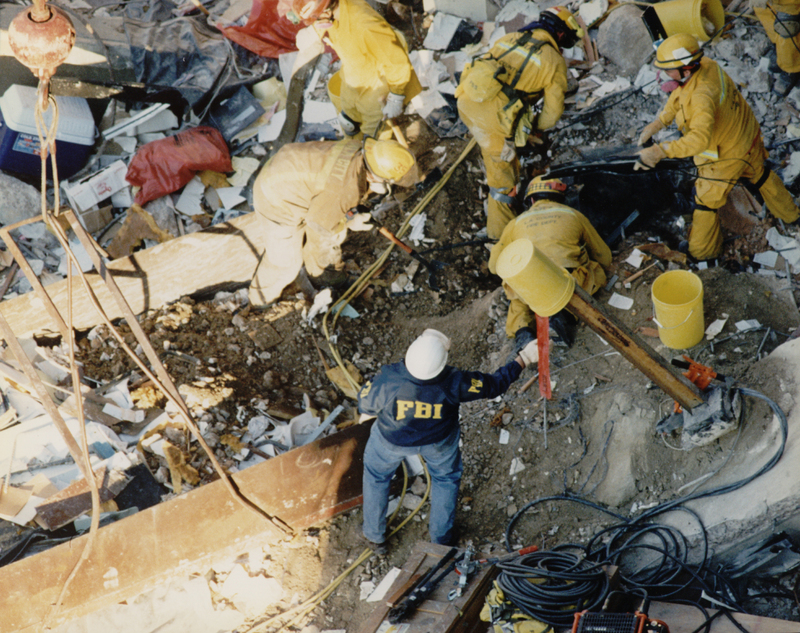 The OKBOMB investigation, as it became known, remains one of the largest and most complex cases the FBI has ever undertaken. 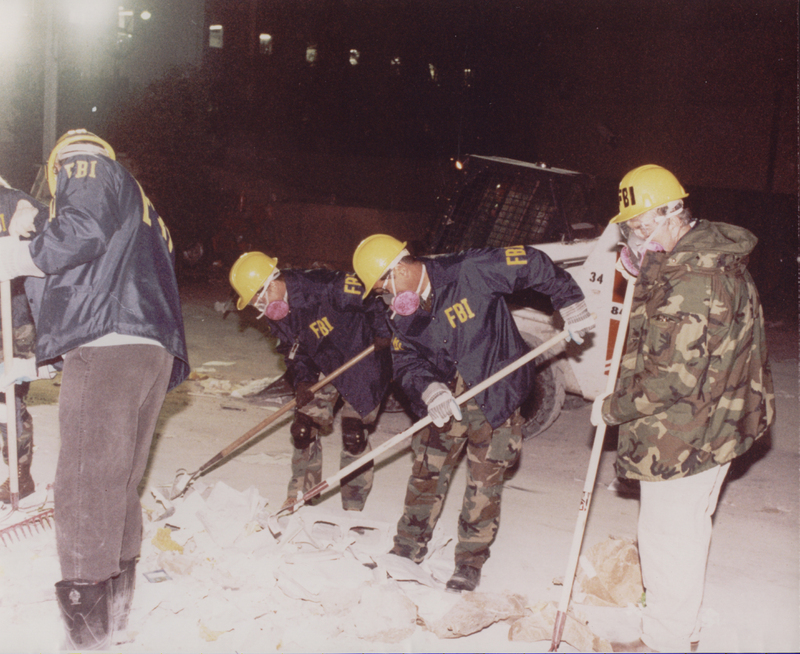 Special Agent Jim Norman (seated, left) was one of the first FBI agents to arrive at the Murrah building after the explosion. He was appointed to supervise the OKBOMB investigation. In the next moments, before building and car alarms triggered by the blast began to howl, before fire engine and police sirens wailed, and before cries rang out from the trapped and injured, Rogers experienced an “eerie silence.” Alone on a narrow ledge—all that was left of her office floor—below which was a deadly, open pit, she wondered where her colleagues had gone. She wondered why she could see daylight where walls and ceilings should have been. And later, after being helped to safety, she would wonder at the miracle of her own survival on a day when so many had perished. 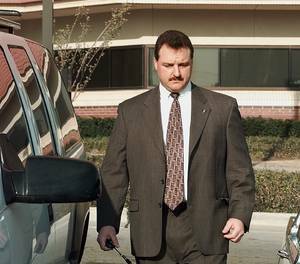 Special Agent Barry Black in 1995. 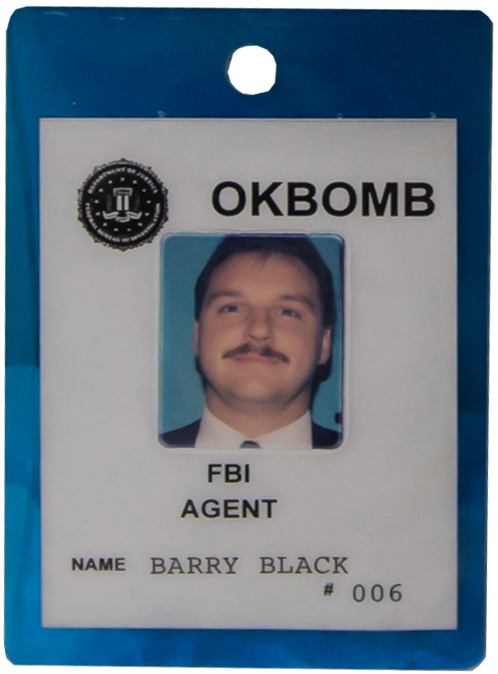 Members of the OKBOMB Task Force were issued special credentials (below). “There was a big cloud of smoke already blowing to the north,” Black said. “We had no idea what had happened,” but they knew it was a major event. “So the emergency part took precedence over a white-collar crime,” he explained, and they quickly returned to the office. The fugitive’s arrest would have to wait until another day. About 90 minutes later, Black’s wife was able to leave a message on his pager that she was safe. 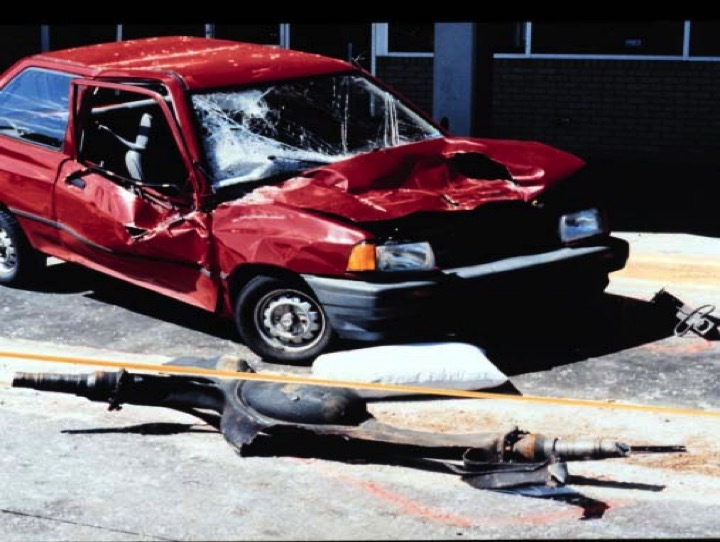 She and two colleagues had emerged from the Murrah building garage at 9 o’clock and had driven in front of the Ryder truck on their way to the highway. Black understood that had his wife been delayed by a mere two minutes, she never would have survived. 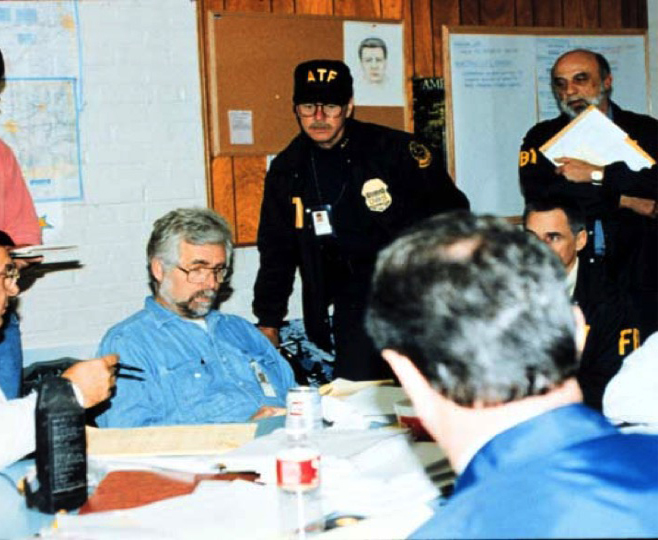 Timothy McVeigh’s hatred of the federal government intensified in 1993 after an armed standoff in Waco, Texas resulted in the deaths of 76 people. 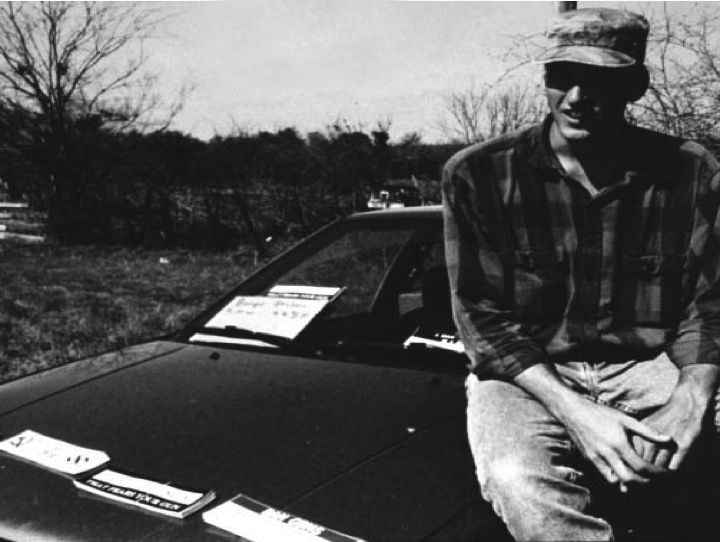 McVeigh went to Waco during the standoff and handed out anti-government literature. Timothy McVeigh targeted the Murrah building largely because it was full of U.S. government workers like Barry Black’s wife. Fourteen federal agencies had offices there, and 98 of the victims worked for the federal government. McVeigh, a decorated Army veteran, believed the government was attacking Americans’ personal rights and freedoms. His anger hardened on April 19, 1993, when 76 men, women, and children died in a fire during an armed standoff with federal agents in Waco, Texas. Many mistakenly believed that federal officers had set the fire. McVeigh, who visited Waco during the standoff, said that the government had declared war against the American people. He planned to fire the first shot in a new American revolution. 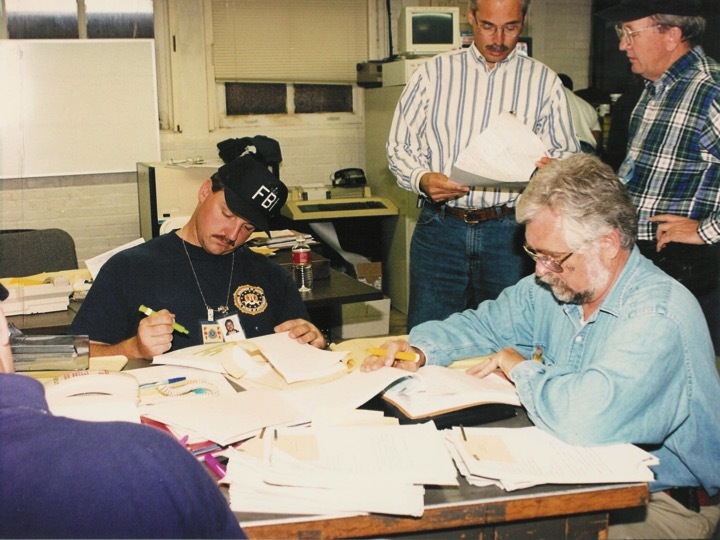 Bob Ricks (left) was the special agent in charge of the Oklahoma City Field Office in 1995. 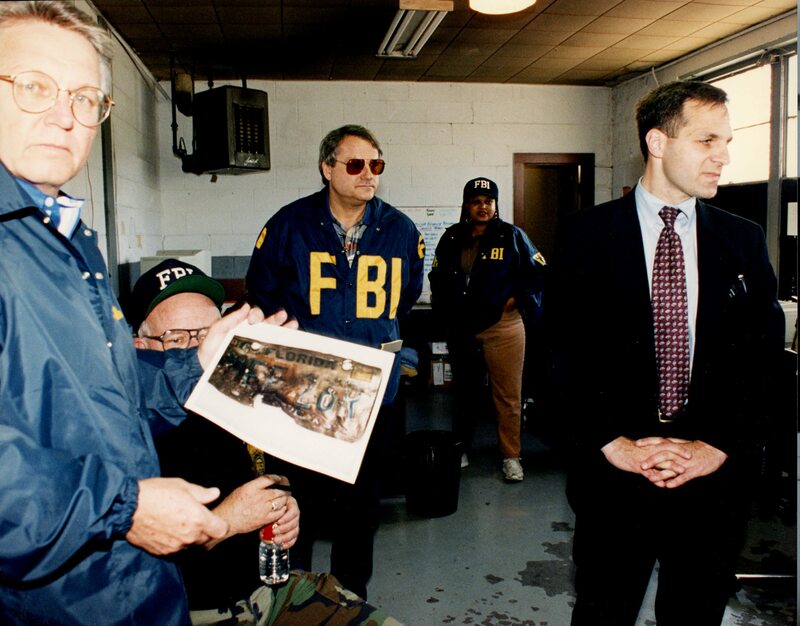 Former FBI Director Louis J. Freeh (right) visited Oklahoma City after the bombing. 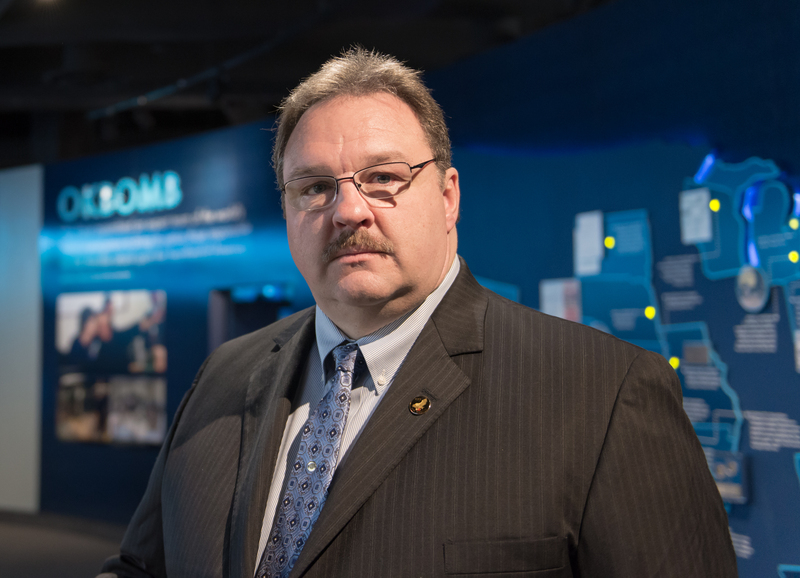 Ricks, currently chief of the police department in Edmond, a town just outside Oklahoma City, had a long career with the Bureau and had previously helped establish a Joint Terrorism Task Force in New Jersey. He understood bombing incidents, and they usually turned out to be small pipe bombs that did minor damage. In his experience, most individuals who carried out such attacks were trying to make a statement, not kill anyone. With the bomb squad and other resources already dispatched to the scene, Ricks set about standing up a command post. There was never a question that the FBI would take charge of the case. 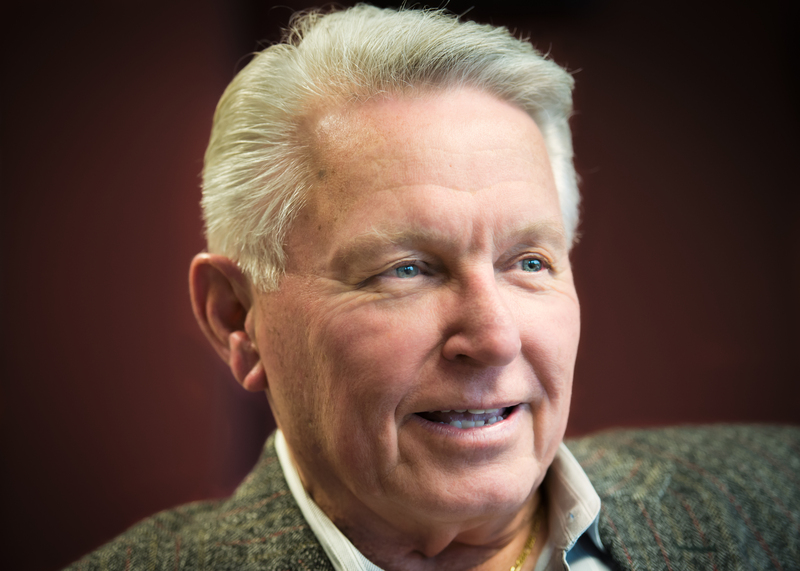 “My first job was to get together with the leadership of the fire department and the police department and make sure we had a unified command,” Ricks said. He arranged a meeting with the chiefs of the Oklahoma City police and fire departments outside what was left of the Murrah building, which looked as if it might topple at any moment. By mid-afternoon, a telephone company provided space near the blast site for a command center, complete with 190 phone lines. The investigation was in full swing. 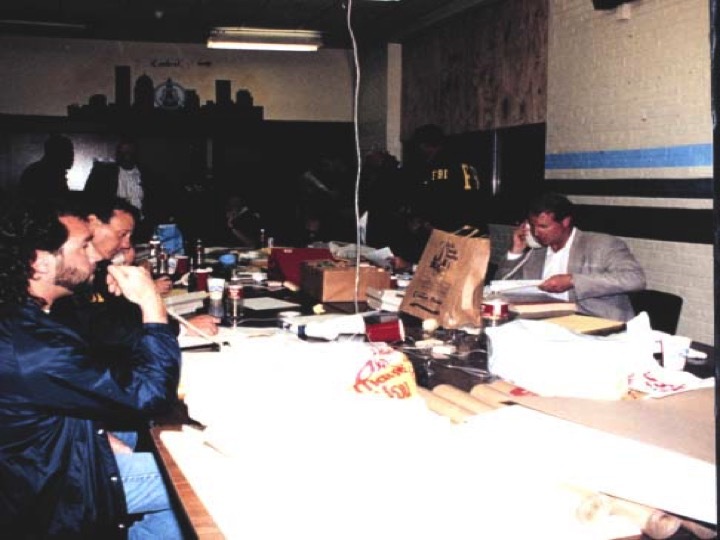 FBI photographers took pictures, bomb techs looked for secondary explosives, SWAT provided security, evidence technicians fanned out looking for evidence, and agents interviewed witnesses and began to track down information and send leads to other FBI offices. At FBI Headquarters in Washington, officials began diverting resources to help the 120 special agents based in Oklahoma City. A day after the bombing, the FBI released a sketch of a suspect who rented a Ryder truck in Kansas. 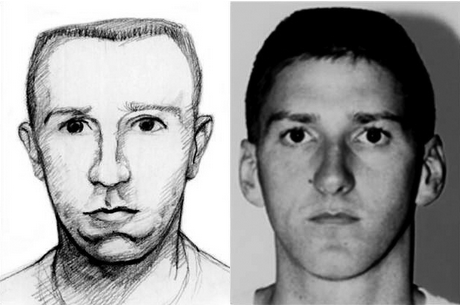 That suspect was Timothy McVeigh. 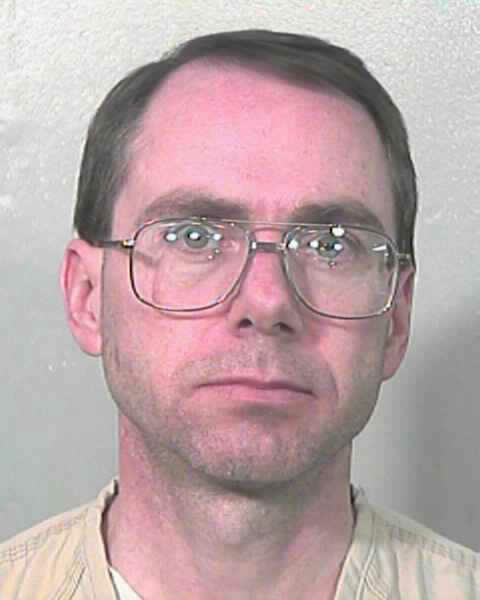 A search of police records showed that McVeigh was in the Noble County jail in Perry, Oklahoma. 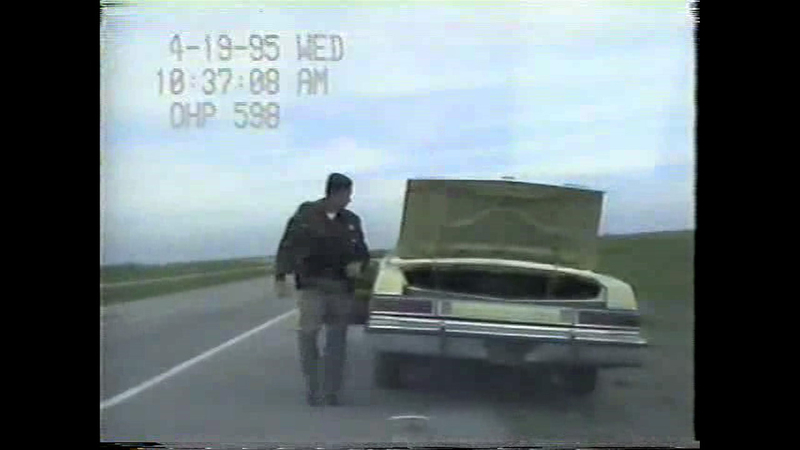 A state trooper had stopped him shortly after the bombing because his car was missing a license plate. He arrested McVeigh for carrying a concealed firearm, and McVeigh was still in custody when the FBI called. 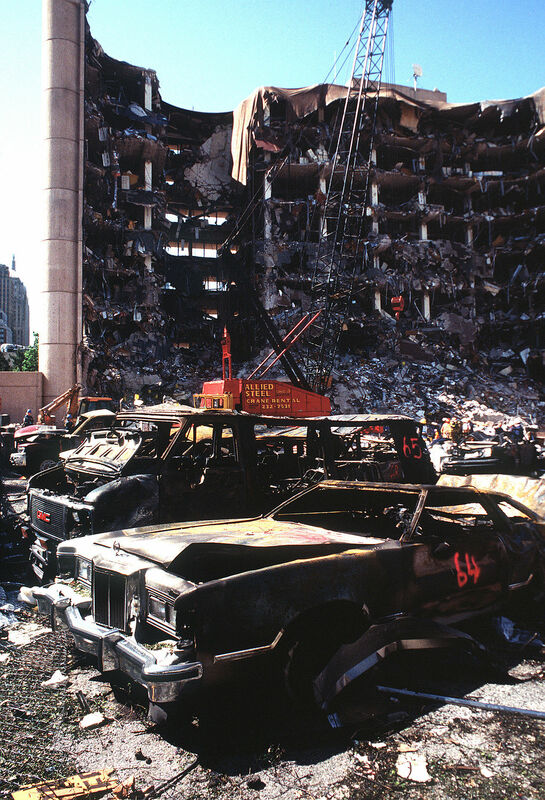 Timothy McVeigh was arrested 90 minutes after the bombing when an alert trooper noticed that his vehicle (top left) did not have a license plate. 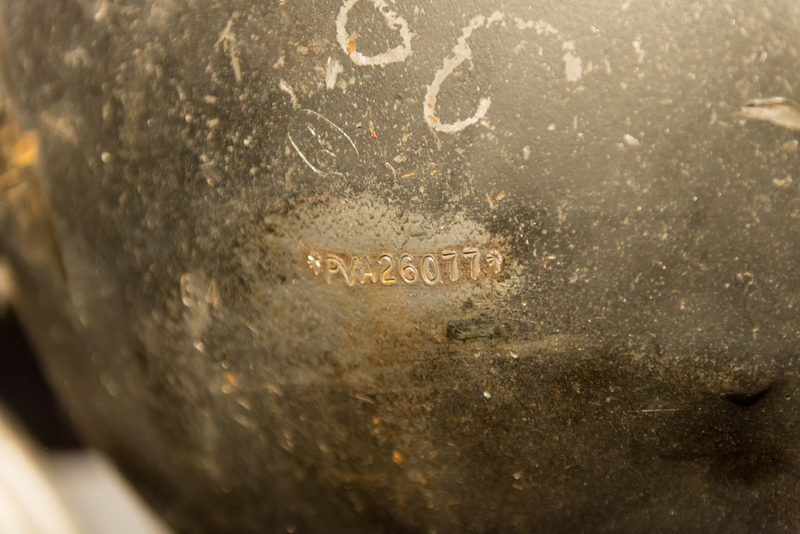 The axle from the truck bomb (top right) contained an identifying number (bottom right) that was traced back to the Ryder truck McVeigh rented in Kansas. 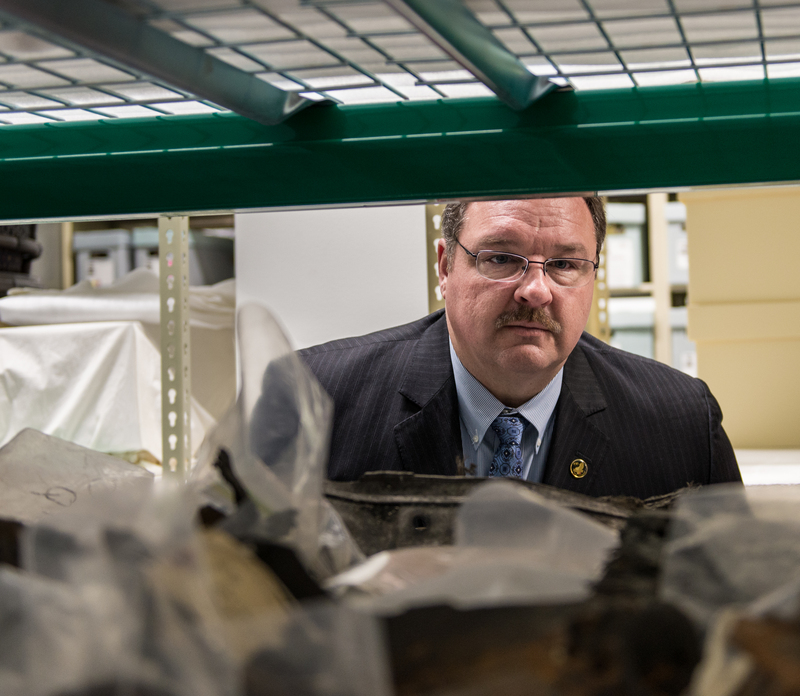 Special Agent Barry Black (bottom left) inspects parts of the Ryder truck that were collected as evidence, which are now archived at the Oklahoma City National Memorial & Museum. Before the bombing, McVeigh spent time in Arizona with Michael Fortier, another Army friend, where he shared his plans and described how he would place the barrels of explosives in the truck. To help finance the plot, Fortier sold guns that McVeigh and Nichols had stolen. McVeigh’s fingerprints were also found on a receipt at Nichols’ home for 2,000 pounds of fertilizer used to make the bomb. Other evidence linked McVeigh and Nichols to each other and to different elements of the crime. 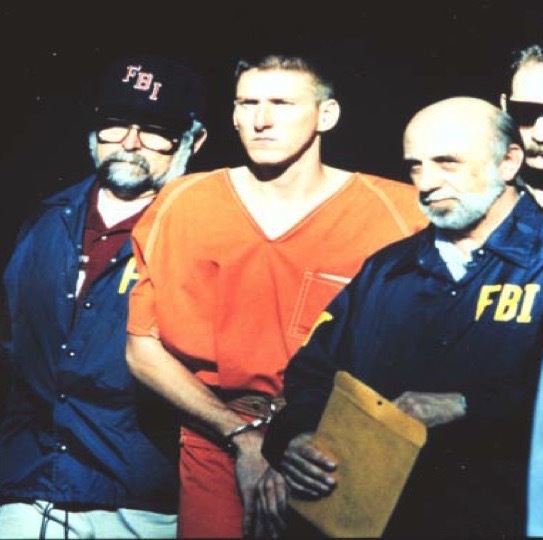 Flanked by FBI agents—including Jim Norman, left—Timothy McVeigh is taken into federal custody. While the OKBOMB investigation quickly turned to McVeigh, Nichols, and Fortier, the FBI initially had no idea how many people were involved. In 32 months, the Bureau logged more than 1 million hours of investigative work through the OKBOMB Task Force. 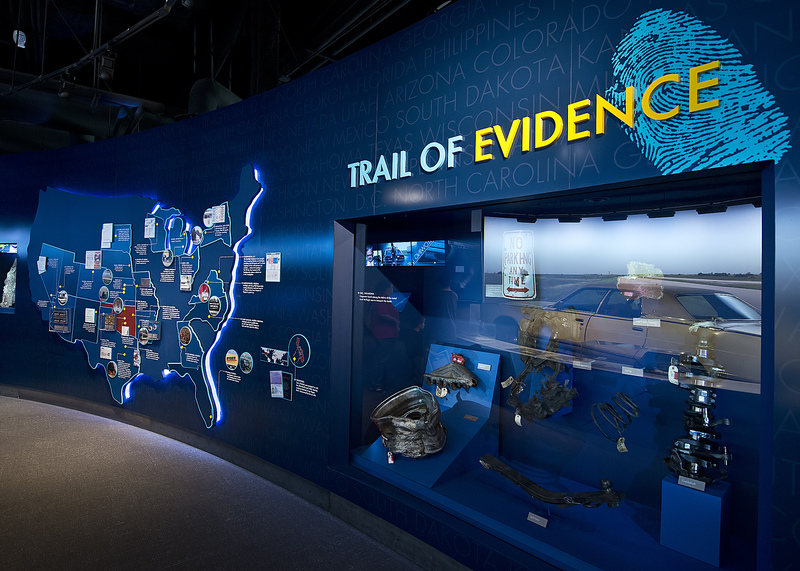 During that time, investigators conducted more than 28,000 interviews, followed more than 43,450 investigative leads, collected nearly 3.5 tons of evidence, searched 1 billion records in 26 databases, and reviewed more than 13.2 million hotel registration records, 3.1 million Ryder truck rental records, and 682,000 airline reservation records. Eight counts of first-degree murder of federal law enforcement officers. A federal jury found McVeigh guilty of all counts on June 2, 1997. He was executed on June 11, 2001. 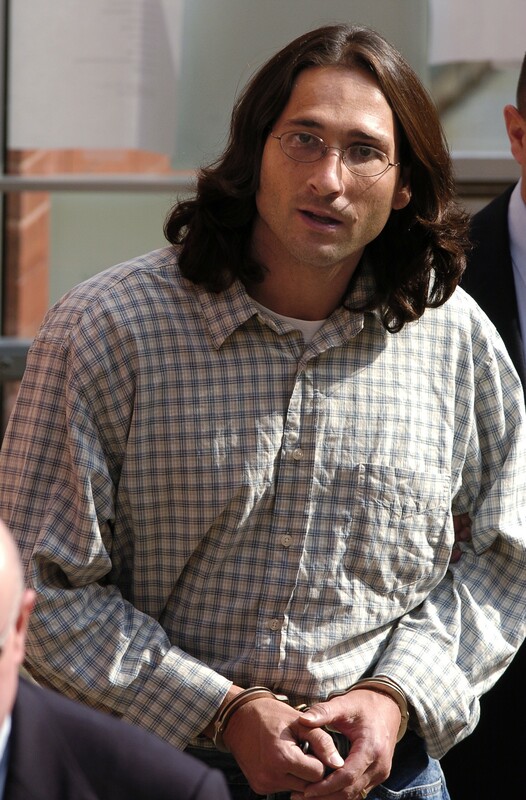 A different jury found Nichols guilty of conspiracy and eight counts of manslaughter on December 23, 1997. He was sentenced to life in prison. Fortier testified against McVeigh and was sentenced to 12 years in prison for failing to report the planned attack and for lying to the FBI. Special Agent Barry Black is nearing his 27th year with the FBI. Bob Ricks is currently the chief of police in Edmond, Oklahoma. 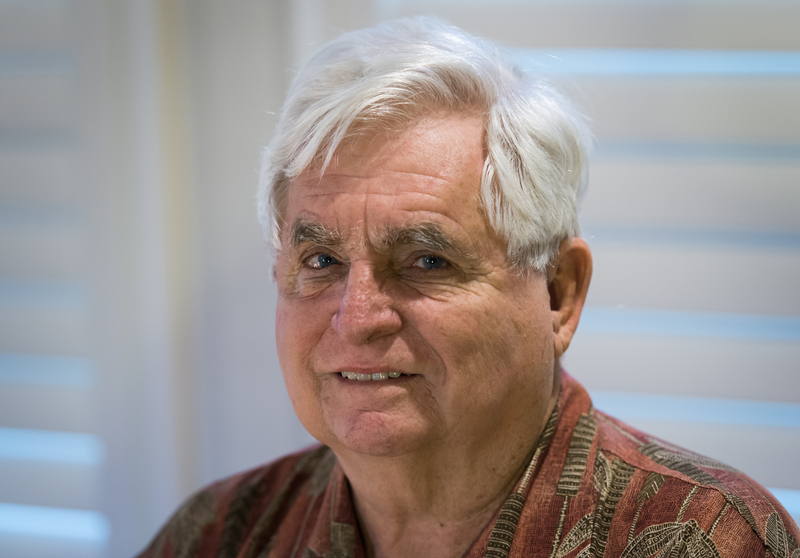 Retired Special Agent Jim Norman was the lead investigator for OKBOMB. Finch, originally from Nebraska but who now calls Oklahoma home, pointed out the resiliency of residents who responded to the bombing with a can-do attitude and heartfelt appreciation and support for all those who came from out of town to help. That collective good will became known as the Oklahoma Standard. Dr. William Fabbri is a medical doctor and the director of the operational medicine program at the FBI. At the time of the bombing, he was not an FBI employee. He was an emergency medical physician working in a trauma center in Baltimore, Maryland, and he was also a member of the urban search and rescue program administered by the Federal Emergency Management Agency. Fabbri and other doctors teamed with firefighters to form collapse rescue teams. 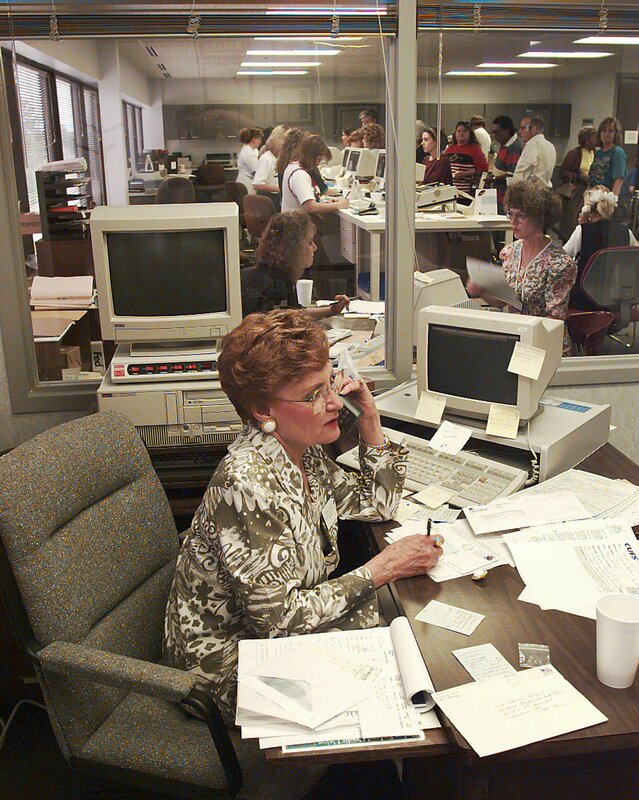 Although the team’s primary mission was to aid with natural disasters, not manmade ones, they were called to Oklahoma City after the bombing. “I don’t think any of us ever thought we’d be involved with a crime scene or an incident of this magnitude,” Fabbri said. But 46 hours after the explosion, he got a firsthand look at the devastation wrought by domestic terrorism. “It was an awful, horrific event,” he said, “but the response of the people of Oklahoma and Oklahoma City was absolutely phenomenal.” Fabbri’s experience, like those of so many first responders, speaks volumes about the Oklahoma Standard. The first responders and investigators learned they could always count on residents preparing food for them—available at any time of day or night, since work went on at the site around the clock. 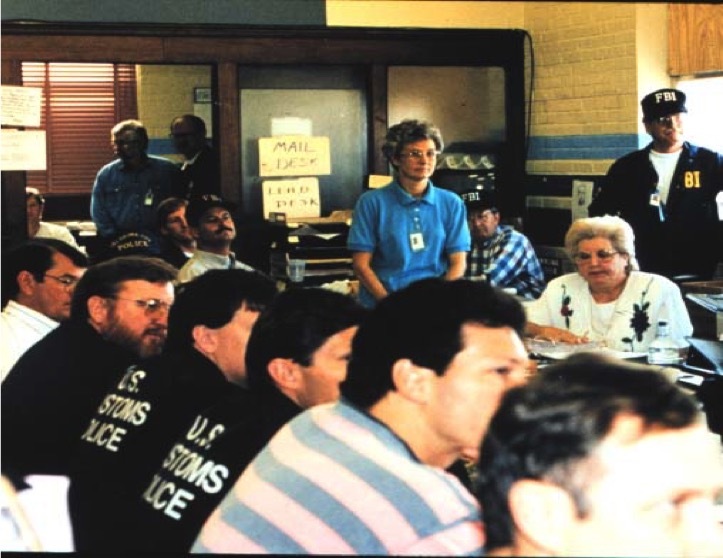 Cathy Keating, wife of Oklahoma’s then Governor Frank Keating, visited with investigators and first responders to thank them for their efforts after the bombing. The outpouring of support and generosity shown to law enforcement and responders from residents became known as the Oklahoma Standard. 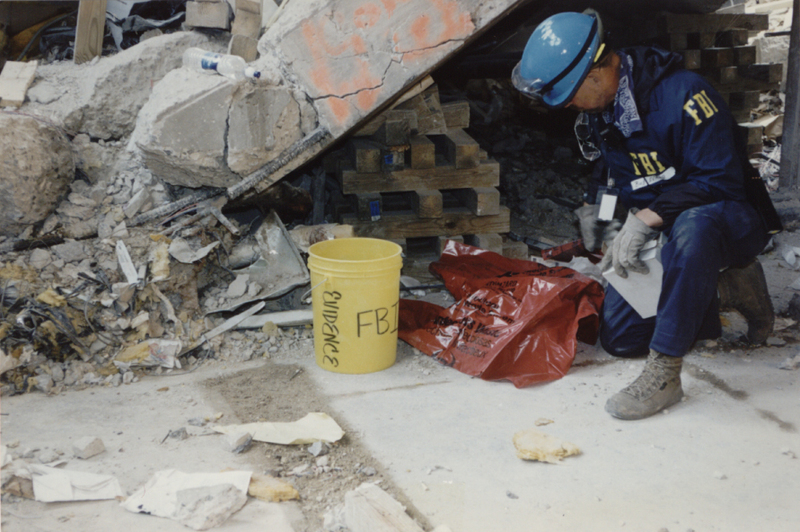 Immediately after the explosion, FBI personnel were dispatched to the Murrah building to begin the painstaking process of collecting evidence, even as firemen and other first responders worked to recover victims and stabilize the area. 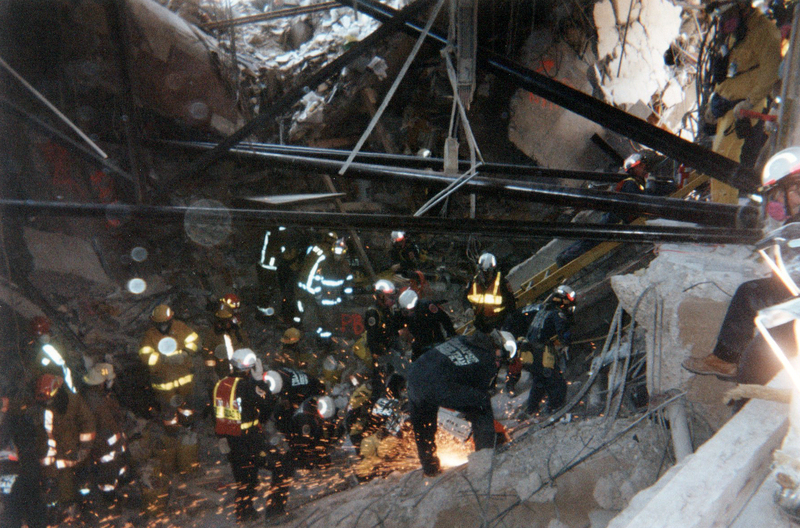 A collapse rescue team from Maryland (bottom right) was one of many teams from around the country to offer assistance after the bombing. 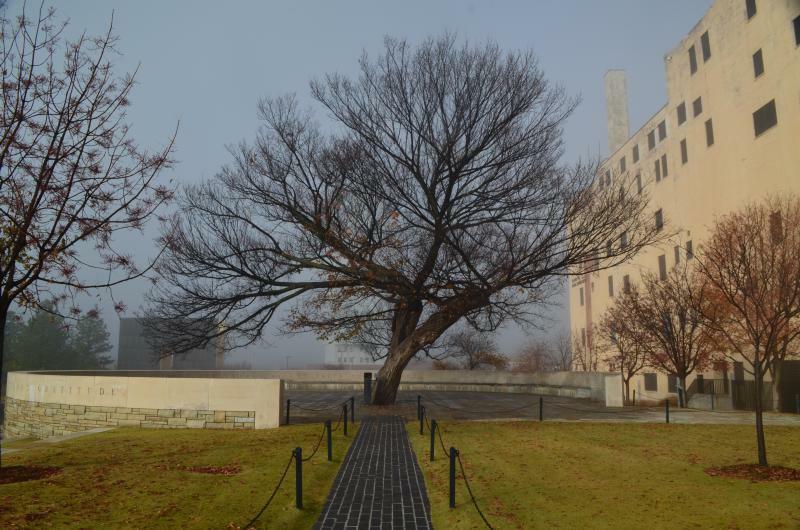 Today, on the site of what was once the Murrah building, there is a fitting memorial and museum honoring the significance of that tragic day. 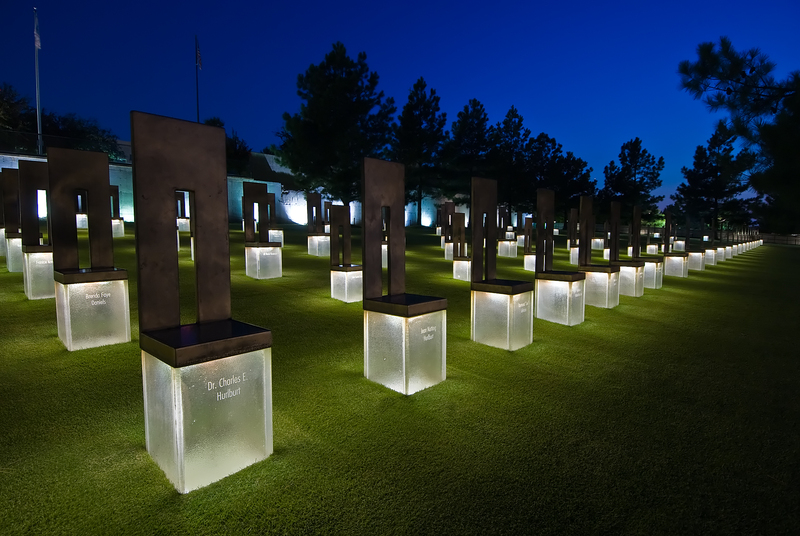 The Oklahoma City National Memorial & Museum was dedicated on April 19, 2000, five years to the day after the bombing. 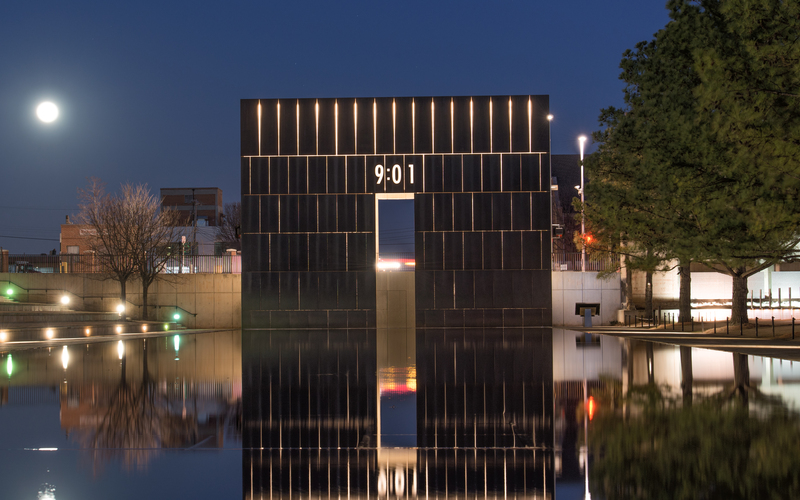 “The memorial is really built to remember those who were killed and those who survived and those who were changed forever,” said Executive Director Kari Watkins. 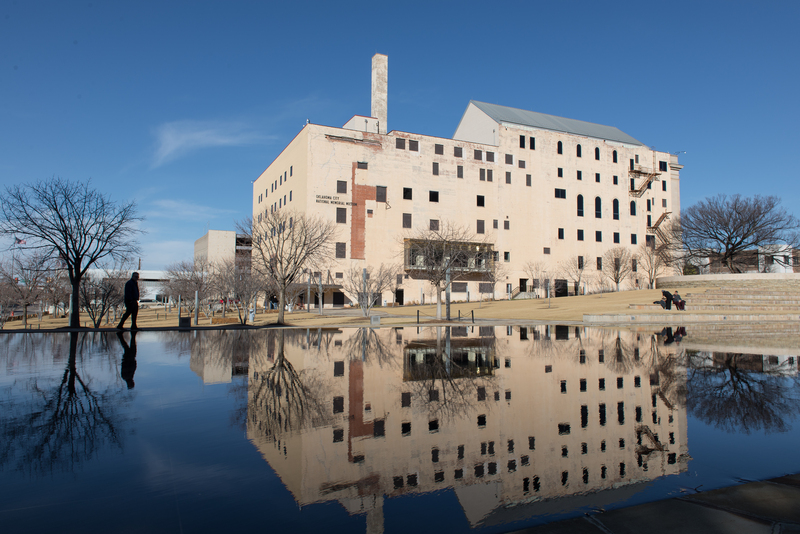 Two towers on either side of a reflecting pool where the Murrah building stood show the time immediately before and after the explosion. 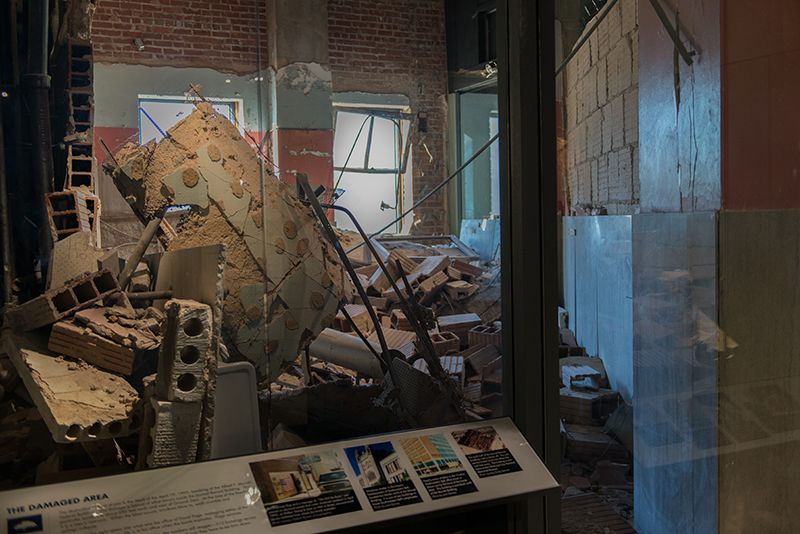 In the museum, visitors can see a room of twisted metal and concrete fragments left untouched after the bombing, along with a variety of interactive exhibits. In the memorial area, there is a chair for each of the 168 victims. Between the memorial and museum stands the Survivor Tree, which survived the blast and subsequent fires and symbolizes the notion that good will always triumph over evil. Survivor Florence Rogers believes she has a responsibility to bear witness to the tragedy so that no one will forget it. Perhaps as much as anyone, Florence Rogers symbolizes the need—and the duty—to remember. 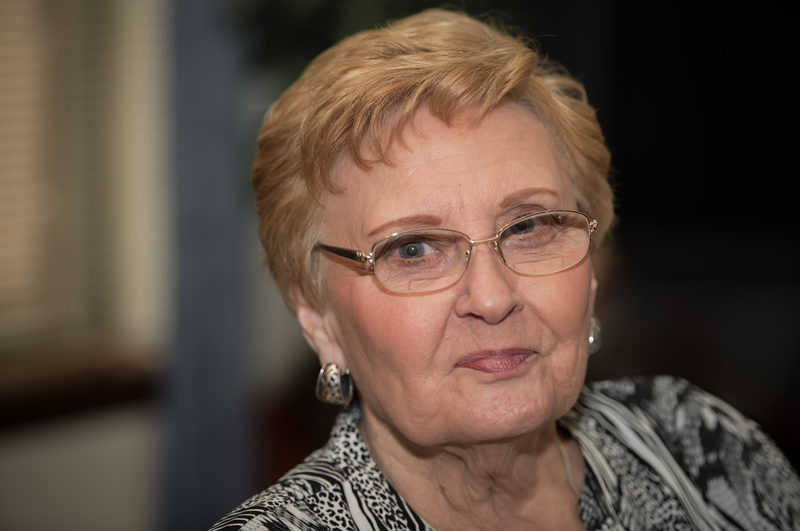 The former head of the credit union, who survived while the eight women in her office only a few feet away were killed, embodies the strength, spirit, and good will that give life to the concept of the Oklahoma Standard. She tells her story as way to honor the dead and to ensure that people will remember the good that came from the bombing as well as the tragedy. “The whole world was touched by what happened in Oklahoma,” she said.